Luxury tulip vase of 48 cm. This extraordinary tulip vase consists of four stackable parts. 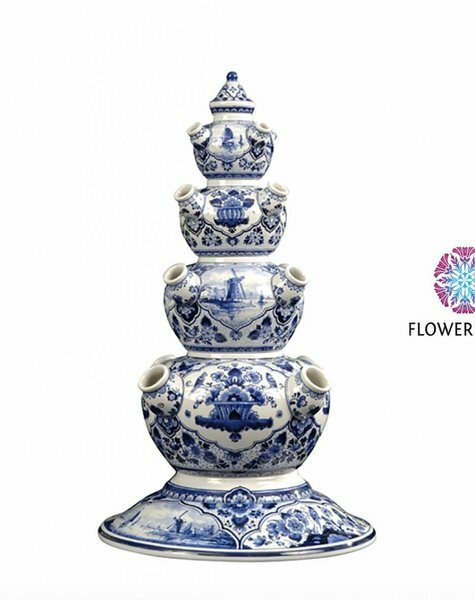 Exclusive tulip vases which are richly decorated with Dutch windmills and floral patterns. A delft blue jewel for many years to come. 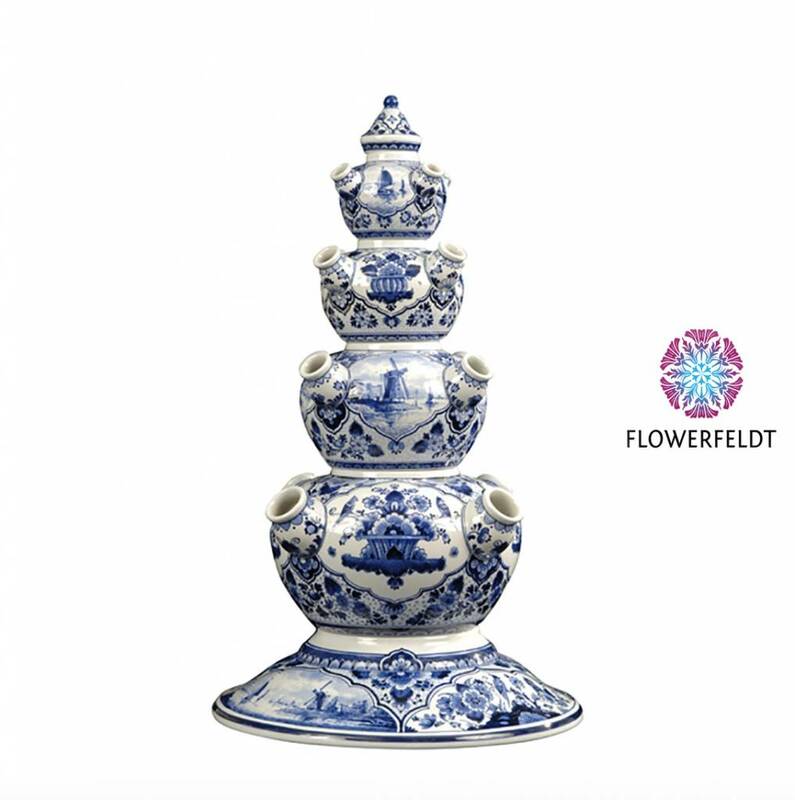 Buy tulip vases and home decor in delft blue at Flowerfeldt®.